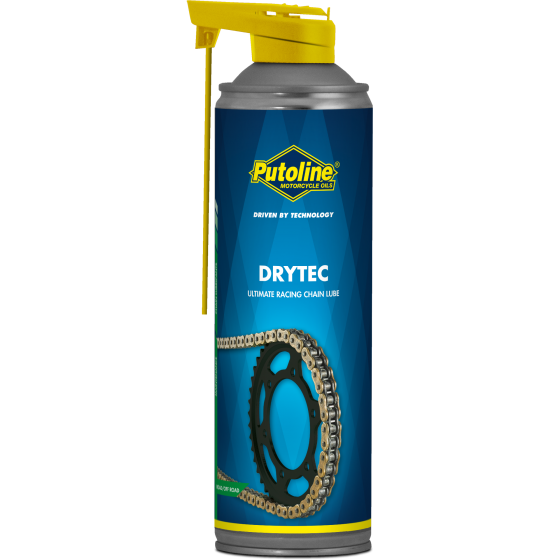 Drytec is a special PTFE chain lubricant. This dry and well-adhering product penetrates deep inside the chain. It leaves a clear and non-sticky protective layer meaning that dirt and salt cannot stick to the chain. Regular use reduces friction, preventing premature wear, and it is clean in use. Drytec is suitable for standard, O-/X-/Z-ring chains on road and race motorcycles.